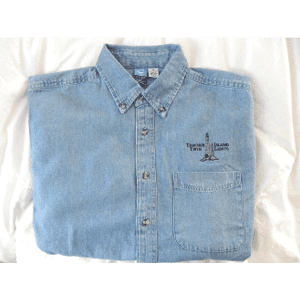 This 100% cotton soft denim shirt is a key item to own.It proudly shows off the Thacher Twin Lights in an embroidered design on the left chest. This 100% cotton soft denim shirt is a key item to own. 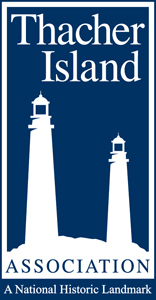 It proudly displays Thacher Island’s Twin Lights embroidered design over the chest pocket.